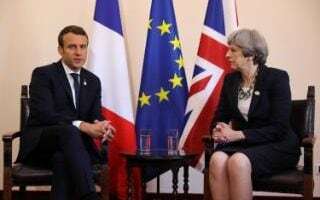 Theresa May and Emmanuel Macron’s plans to make Internet companies liable for ‘extremist’ content on their platforms are fraught with challenges. They entail automated censorship, risking the removal of unobjectionable content and harming everyone’s right to free expression. No one would deny that extremists use mainstream Internet platforms to share content that incites people to hate others and, in some cases, to commit violent acts. Tech companies may well have a role in helping the authorities challenge such propaganda, but attempting to close it down is not as straightforward or consequence-free as politicians would like us to believe. First things first: how would this work? It almost certainly entails the use of algorithms and machine learning to censor content. With this sort of automated takedown process, the companies instruct the algorithms to behave in certain ways. Given the economic and reputational incentives on the companies to avoid fines, it seems highly likely that the companies will go down the route of using hair-trigger, error-prone algorithms that will end up removing unobjectionable content. May and Macron’s proposal is to identify and remove new extremist content. It is unclear whose rules they want Internet companies to enforce. The Facebook Files showed Facebook’s own policies are to delete a lot of legal but potentially objectionable content, often in a seemingly arbitrary way. Alternatively, if the companies are to enforce UK and French laws on hate speech and so on, that will probably be a lot less censorious than May and Macron are hoping for. There are some that will say this is a small price to pay if it stops the spread of extremist propaganda, but it will lead to a framework for censorship that can be used against anything that is perceived as harmful. All of this might result in extremists moving to other platforms to promote their material. But will they actually be less able to communicate? All this, of course, is in the context of Theresa May entering a new Parliament with a very fragile majority. She will be careful only to bring legislation to Parliament that she is confident of getting through. Opposition in Parliament to these plans is far from guaranteed. In April, the Labour MP Yvette Cooper recommended fines for tech companies in a report she headed up on the Home Affairs select committee.